Angry Birds creator Rovio launches Nibblers for Android and iOS. Angry Birds creator Rovio today launches the Nibblers, a daring group of fish out of water venturing from the waves to explore the Lands Above - and partake of its forbidden fruits. The game is available now in English, French, German, Italian, Japanese, Korean, Portuguese, Russian, Spanish, Turkish, Simplified Chinese and Traditional Chinese. On the Nibbler's eponymous island-hopping adventure, the gang search for oranges, pears, bananas, plums, rosehips - anything as long as it's tasty and matches in a row of three or more! - and try to evade the pesky reptilians at the top of this brave new world's food chain. Coral, Octo, Bouncer and the rest of the toothy gang use their special abilities to knock out obstacles, fend off the ravenous lizards and help players advance through more than 200 unique and puzzling levels - with new ones added all the time. 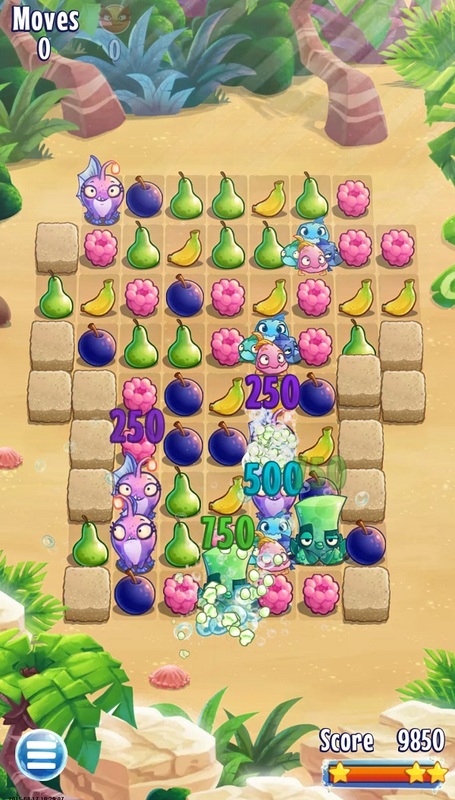 By connecting to Facebook, players can also challenge their friends in the leaderboards, or cooperate by sharing special gifts that help each other survive and thrive in the fruit-frenzied quest for a new life on dry land.